Unified BMPCC4K Camera Cage SSD Mount is a SSD mounting solution for our Unified BMPCC4K Camera Cage. The SSD mounting rail attaches to the vertical 15mm rod of the camera cage and includes a cable clamp and 2 inch 15mm rod. The SSD mounting plate is 4 x 2.75 inches and features several holes for mounting and rubber pads to prevent slipping. 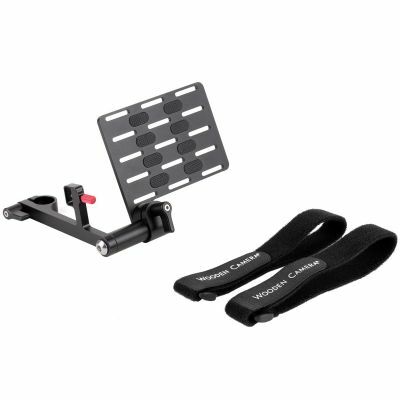 The SSD mounting plate attaches to the mounting rail via the 2 inch 15mm Rod, but can also be removed and mounted onto the vertical 15mm rod on the camera cage or any other 15mm rod. The SSD Mount also includes two 14 inch velcro straps for attaching various SSDs.